An all-new low-emissions hybrid crossover, the Niro marks the development of Kia’s first dedicated eco-car platform. 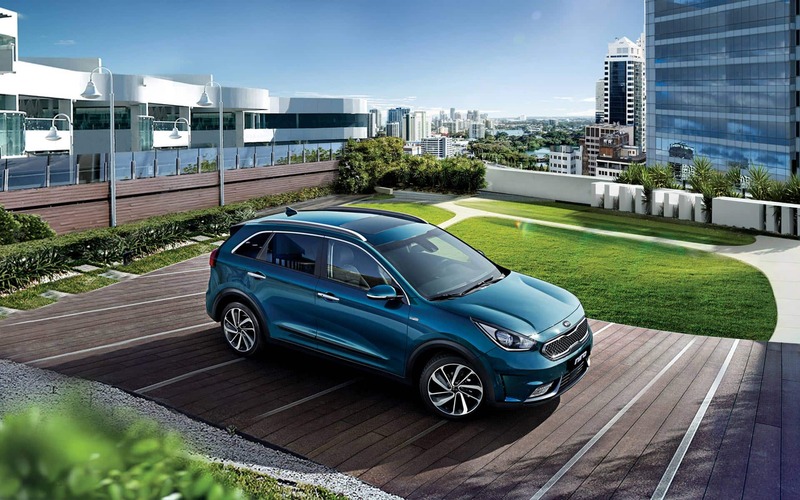 The Kia Niro offers the practicality and curbside appeal of a spacious crossover, together with the high fuel efficiency of an advanced hybrid powertrain. Engineered from the ground up as a dedicated hybrid vehicle, its attractive, modern design will help the car stand out among conservatively-styled hybrid rivals. Be surprised by the new Kia Niro's attractive rear. With the ultra-modern look of C-shaped LED combination lamps, signature silver garnishes and distinctive curves. Aerodynamic corner garnishes underscore each window's side. Managing airflow is a breeze thanks to the rear diffuser. Cleverly designed and unusually roomy for a hybrid, the new Kia Niro gives you ample space to make yourself at home. Comfortably and stylishly. 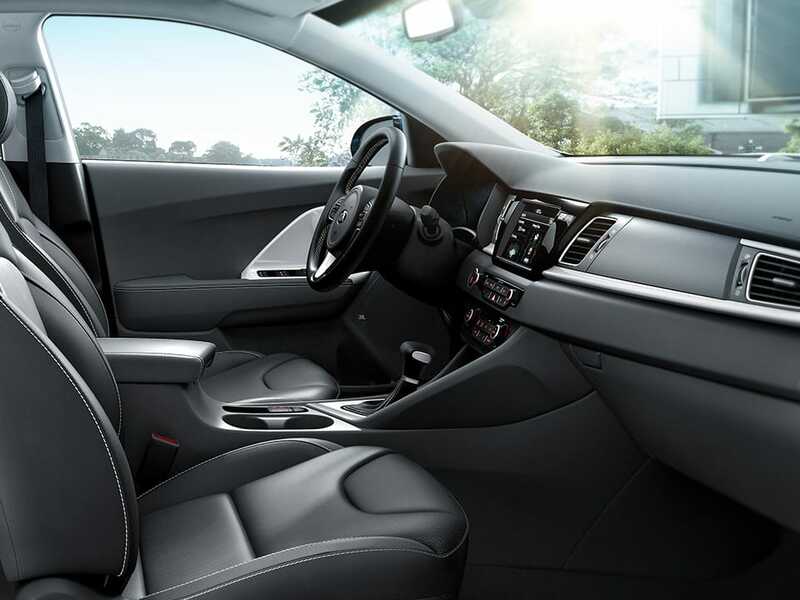 From leather seats with an integrated memory system to heated front and rear seats and ventilated front seats. Effortlessly adjust the driver's seat to maintain healthy driving posture. Leaving you feeling refreshed upon arrival. From the driver's seat, everything’s in your line of sight on the array of controls and displays. 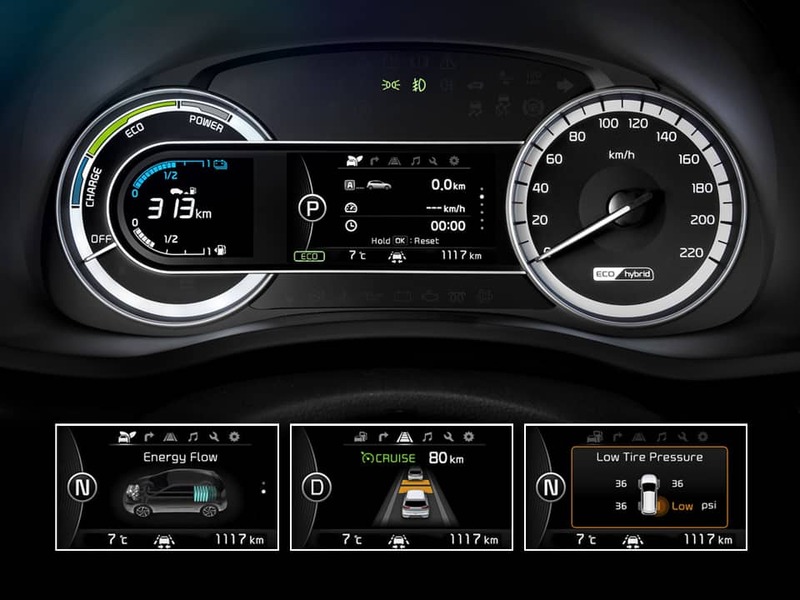 Here you'll find all the information you need about the hybrid system, navigation and infotainment. Without any clutter or distractions. The new Kia Niro switches between petrol and electric power, or uses a combination of both. Regenerative Braking System converts kinetic energy to recharge the battery. It also boasts an overall output of 141hp – and can reach a purely electric vehicle speed of 120 km/h. The situation inside the new Kia Niro is far from tight. You and your co-pilot have best-in-class leg- and headroom at your disposal. After taking the wheel, easily adjust the 8-way power driver's seat to the perfect position. Even your tallest friends can sit back and make themselves at home in the ample space of the rear seat. When space is of the essence, you have plenty of options in the new Kia Niro. 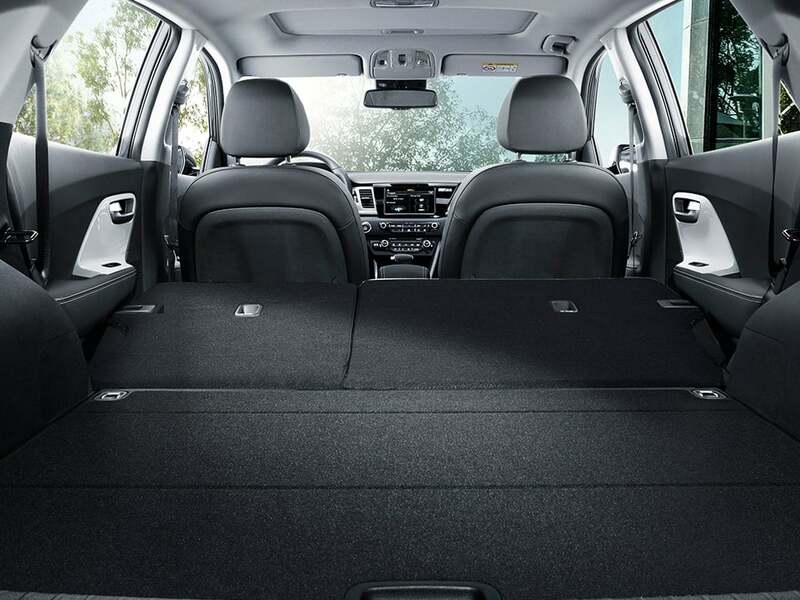 With the battery smartly stowed under the rear seats, 436 l is available in the boot. For maximum cargo capacity and flexibility, the rear seatbacks split 60:40 and fold flat completely for 1,434 l of boot space. 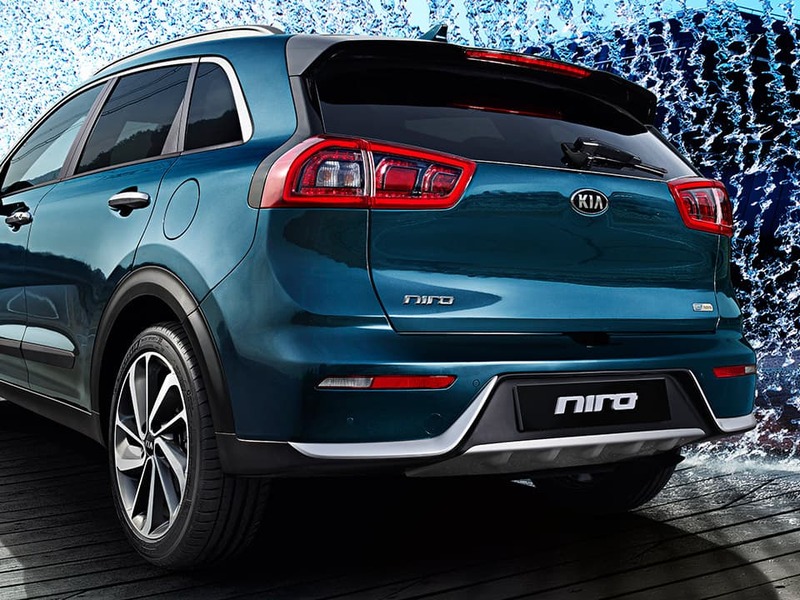 The Niro’s all-new platform has been engineered in isolation from existing Kia models, and is designed to accommodate a specific set of environmentally-conscious technologies and next-generation powertrains. While the Niro’s hybrid powertrain – made up of a 1.6-litre GDI (gasoline direct injection) engine, lithium-ion polymer battery pack, 32 kW electric motor and six-speed double-clutch transmission – is under development, Kia’s engineers are targeting CO2 emissions of 89 g/km*.